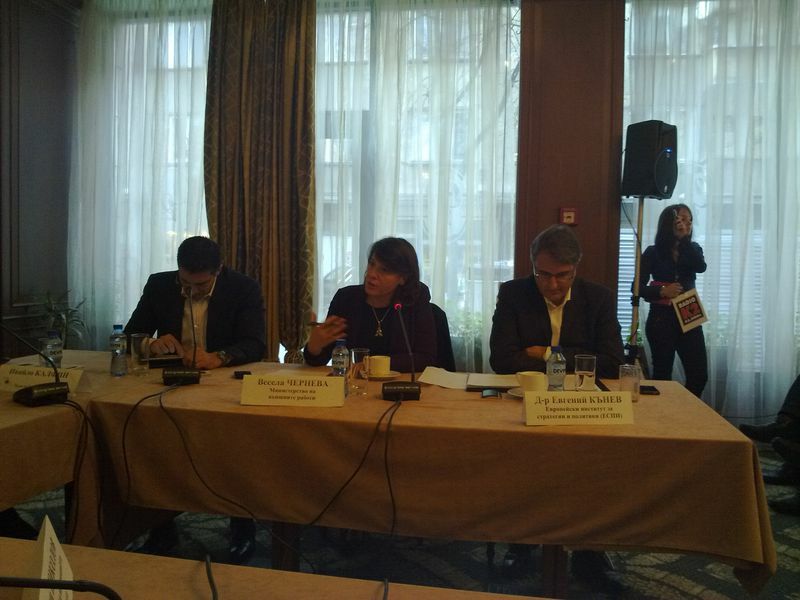 Bulgaria is directly affected by the developments in the euro area and it cannot afford not to be interested in the crisis, said the participants in the round table "EU Economic Governance - the Political Way Ahead", organised by euinside and supported by the European Parliament. Of course, not that unequivocal was the assessment of what positions our country should defend and what actions it should take. 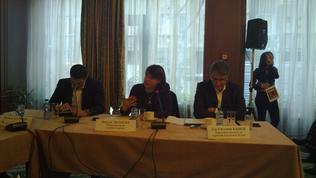 Bulgaria needed to implement the commitments it had made as an EU member, Nadejda Neynsky, MEP (EPP) said. She gave an example with the promises for raising salaries and pensions, which were not in line with our Convergence Programme (which is sent annually to the European Commission for evaluation and recommendations). We are financially sound, but our salaries are low and we can continue to be stable and poor, without improving our competitiveness, Ms Neynsky warned. 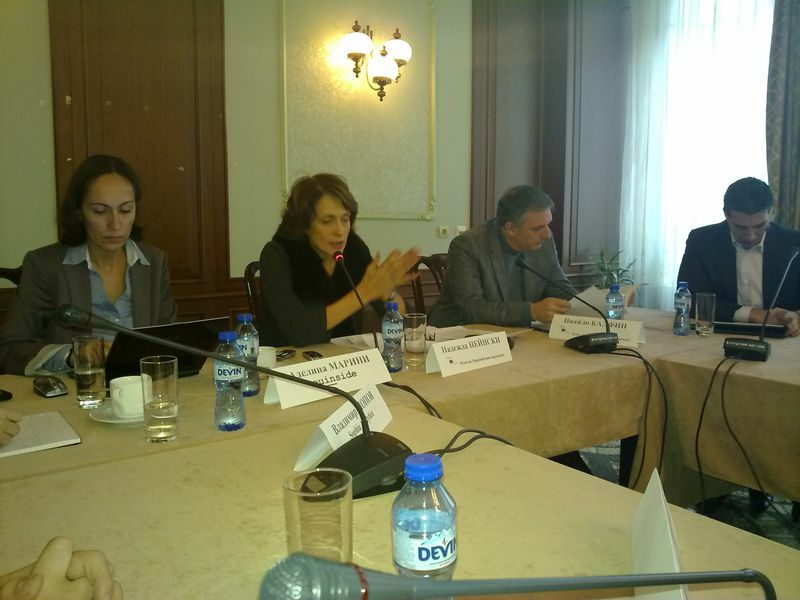 She stressed that, in order to actively participate in the processes and decisions in the EU, Bulgaria must defend reasoned positions. According to the MEP, Bulgaria needs to formalise the debate on the new criteria for entry into the monetary union, together with other countries outside the euro area. Nadejda Neynsky predicted that eventually the crisis would not be resolved without the intervention of the ECB and the common issue of Eurobonds. Ivaylo Kalfin, MEP (Socialists and Democrats), was very critical in his assessment of EU's response to the crisis, as well as regarding Bulgaria's positions. He said the only way to tackle the crisis in the eurozone was the EU to allow the IMF to step in, because it had the necessary expertise to help troubled countries. Bulgaria would suffer more than the eurozone countries, if something happened to the euro, Ivaylo Kalfin warned. According to him, there is a direct threat to the currency board in Bulgaria, if the ECB starts to print money and the euro devalues. This would make Bulgarian imports of energy resources much more expensive, because they were paid in dollars, the MEP warned. He sharply criticised the Bulgarian position against a European VAT and the Financial Transaction Tax. In response, Svetlin Tanchev, MP from the European Affairs Committee, defended the Bulgarian position, arguing that the country was sufficiently disciplined and did not want to punish its citizens with additional taxes. 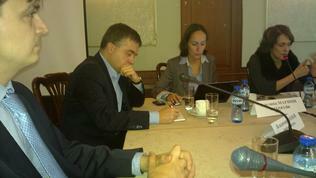 In addition, Bulgaria wants to develop its capital market, so it does not support new taxes on the financial sector. Europe should seek greater homogeneity and greater cohesion in every way, Mr Tanchev said. He believed the depreciation of the euro would not be too much of a problem because Europe must seek other markets. An interesting statement made Yulian Nikolov, Economic Policy Director at the Ministry of Economy and Energy. He said Bulgaria should support the efforts of other countries, like France and Germany, to reform the European institutions, because these had not been ready to deal with the crisis. He gave the example of Ireland, where the cause for the crisis was precisely an institutional failure, as the local banking regulator did not react in time to the housing bubble. Bulgaria's main task was to develop the competitiveness of its economy, Mr Nikolov said, while listing specific government initiatives in this direction. Ms Vessela Tcherneva, a spokesperson of the Ministry of Foreign Affairs, said the current crisis had clearly shown that it had nothing to do with the latest EU enlargement (when countries from Central and Eastern Europe joined the EU). There has been such a thesis, which is very clearly outlined in the report on the single market from 2010 by the former EU commissioner, and since recently prime minister of Italy, Mario Monti. On the contrary, Eastern Europe bore the crisis much better, since those countries knew that the price of reform was high, Ms Tcherneva noted. She was first to raise the issue of a "two-speed Europe", defining it as "the elephant in the room which we avoid to name." 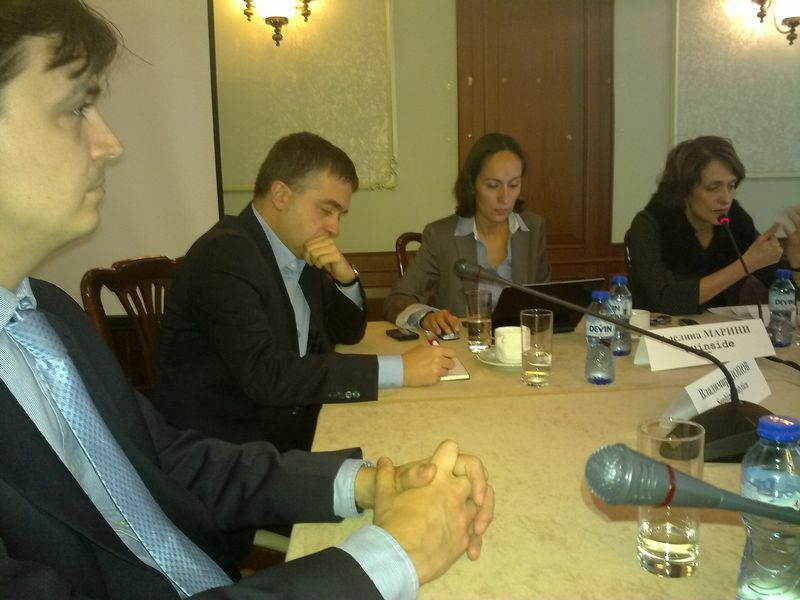 Bulgaria will not support a division of the European citizens into first and second category, Ms Tcherneva said. We do not support the argument that if there were the core and periphery, it would facilitate the EU enlargement. As for closer financial integration, Bulgaria was "in favour", but it put a clear line before tax harmonisation, Ms Tcherneva recalled. Political scientist Vladimir Shopov said that in recent years "a thin consensus" had formed in Europe to preserve the single market as a real backbone of European economies and on the "forced integration" in economic terms. EU decisions are now taken by "a Northern Coalition", led by Germany and the countries of Central and Eastern Europe are largely outside this process, the analyst with Sophia Analytica noted. In parallel, there is a process of transformation of the European South into a protectorate of Brussels. He said the "two-speed" process was expressed in the various speeds at which, on the one hand European elites tended to make decisions without a mandate and on the other - the increasing criticism of European citizens to European politics. These radically different speeds of these two processes would create major problems for the resolution of the current crisis, Mr Shopov said. He gave the example of the recent European Commission's proposals for eurozone governance, describing them as revolutionary, even compared to the most radical federalist ideas. Moreover, these are made without any democratic mandate, so it is inevitable to produce strong and multidimensional reactions in European societies. Evgeniy Kanev, economist, defined the loss of competitiveness globally as the biggest problem of Europe. According to him, there are two options to increase competitiveness – to have low wages or to accumulate deficits and debt. 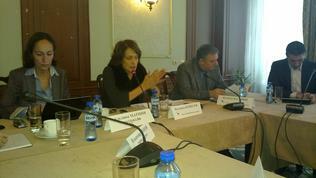 Exactly the low wages were the reason why Bulgaria was stable currently, Dr Kanev said. In his opinion, a breakdown of Europe is a very logical scenario, unless Germany gave up its sovereignty, which means the ECB to take over Europe, like the US Federal Reserve, and to create Eurobonds. In response to the question how citizens could be engaged in the debate on important European issues, Evgeniy Kanev said that the only way was for them to feel the need in their pockets - after a recession the Europeans would go out in the streets to demand a federal state, Evgeniy Kanev predicted. Ivaylo Kalfin, MEP, however, argued that the crisis delivered nationalism and populism. According to him, Bulgarian citizens were watching the events in the eurozone as a performance, without understanding that it affected them directly. Ms Neynsky supported him by saying that Bulgarians perceived Europe as ‘good’ when it was giving and ‘bad’ when it was expecting some responsibility. She urged the government to protect itself from this populism, because many courageous decisions were to be taken. Good for Bulgaria for participating in the calculation of quarterly Housing Price Indexes for Eurostat from 2005 forward. It is impressive that your estimates are published from 2009 forward when a much larger country like Italy still only publishes confidential estimates. I hope that Bulgaria supports inclusion of owner-occupied housing estimates based on the net acquisitions approach in the HICPs, and that it lobbies for weighting the home purchase indexes with expenditure weights for dwelling and lot combined. As one of the EU countries that suffered a housing bubble in the nought decade it is in your best interests to do so.